I am not sure that there’s been a more exciting time in overseas property since I started writing about it 15 years ago. Happy days were spent covering the relentless boom of markets at the birth of the millennium but documenting the various states of recovery of the hardest hit countries in 2014 has been much more fun. The pound at a near two-year-high against the euro has been one catalyst within the fragile eurozone economy where Greece, Spain and Portugal are now flourishing to differing extents. 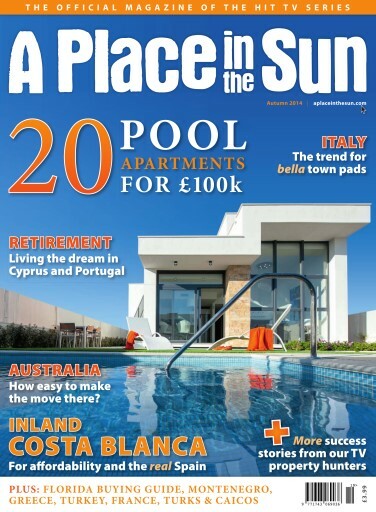 It’s wonderful to see so many of our recent TV property hunters proving successful at buying an overseas home in the past year (see page 97) - surely a snapshot of the wider market. As we go to press French mortgage rates have dropped to eye-popping all time lows but numbers aside, nothing sells the lifestyle “dream” better than our features on rural France (page 91), retirement in Cyprus (page 41) or Italian cities (page 83). Enjoy the issue.